The Tour de Langkawi is Asia’s biggest cycling event. The origins of this grueling race date back to 1996, when it was first hosted, after the idea of such an event was conceived by the then Malaysian Prime Minister Mahathir bin Mohammad. The tourney was at first named after its starting point in Langkawi, however in recent years, the race has not featured Langkawi at all. Various logistical and climatic conditions hampered the tournament during its initial years, though in recent times this biennial race has been conducted without a hitch. 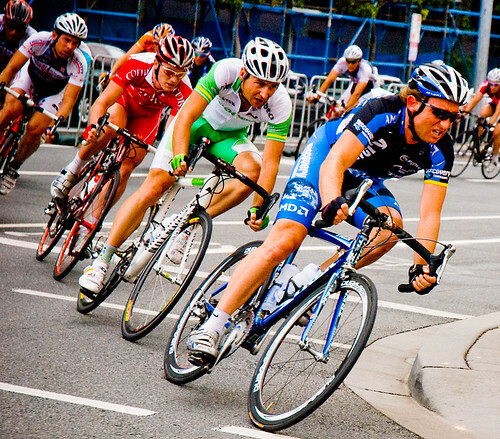 The Tour de Langkawi forms a part of the UCI Asia Tour and is the biggest and most prominent cycling event in Asia. The race is the only cycling race in Asia to have been granted the two hors category (2HC) indicating that it is a multi-day race for Elite Men. This year the route of the race traversed through seven states namely Kelantan, Terengganu, Pahang, Johor, Melaka, Negeri Sembilan, Selangor and two Federal Territories - Putrajaya and Kuala Lumpur. This ten day race featured a very varied terrain and stages that ranged from 168 km to 110 km. It is estimated that each cyclist by the end of the race had pedaled more 1466kms in a span of ten days. The race features a contest of four jerseys though throughout the history of the race the colors of the jerseys have changed frequently to suit the sponsors. In 2013, these four classifications were the Yellow Jersey (General Classification), the Green Jersey (Points Sprint Winners), Red Polka-Dot Jersey (King Of The Mountain Winners) and Blue Jersey (The Best Asian Riders). Each category had a winner with additional contests for the titles of Best Asian Team and the Best Overall Team. The 18th edition of Le Tour de Langkawi had a strong international presence with five WorldTour teams and 30 nations represented. Team Nippo-De Rosa's Julian Arredondo bagged the winner’s crown this year while the MTN-Qhubeka team were declared overall winners at end of this 10-stage 1,467 kilometer race.